The Higo Zogan Koshirae is an high end Iaito, fully order-made, crafted from scratch in Japan with a sand-casted bubble-free zinc/aluminum alloy blade. This model has a "standard" blade for an average weight. It results in a classic Iaito balance, centered toward the Tsuba, and should be suitable for all practitioners. 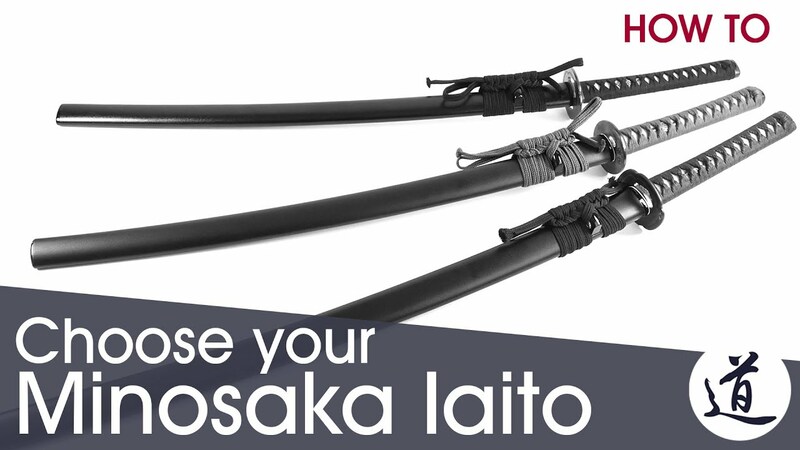 It is an excellent Iaito for beginners and intermediate alike, who have enough budget to acquire a weapon of higher quality with some customization. Within the Minosaka lineup, the Higo Zogan model is on the upper end, with high quality Fuchi & Kashira, a higher grade finish for the basic Kuroro and Kuroishime lacquer, and of course, a higher grade finish for the blade (especially the Yokote). Minosaka's Iaito lineup allows much customization but each model has a name depending on its Fuchi & Kashira set. In this case, the Higo Icho Fuchi/Kashira set. Higo is an ancient province in South Japan corresponding roughly to the current Kumamoto prefecture. Its aesthetic regarding swords is characterized by a rounded Kashira. "Icho" means Ginkgo and "Zogan" refers to a technique of inlaying gold or silver on metal. Also called "silver apricot", Ginkgo is a very important plant in Buddhism and Confucianism. Notably, the Ginkgo trees are so resistant that they were among the very few living things still standing within the 1 km radius blast of the Hiroshima atomic bombing. At the Tsurugaoka Hachimangu shrine, the oldest Gingko tree known in the world is over 1000 years old.